Induction chargers for small gadgets have become commonplace lately, but we’re still waiting for wireless electricity for bigger gadgets. The eCoupled induction charger for electric cars brings us one step closer to our dream of a completely wireless life. 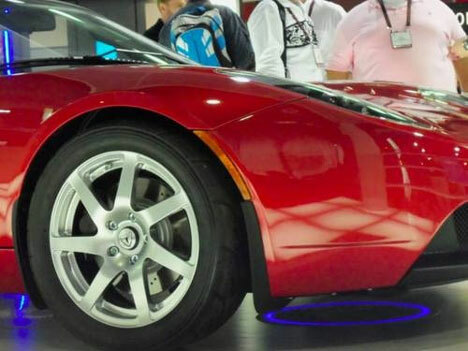 The charger, demonstrated on a Tesla Roadster at CES 2010, is so simple that you only need to park your car over it and go about your business while it tops off the electricity so your ride’s ready to go when you are. According to the company behind the technology, the wireless charging would take about the same amount of time as wired charging would. Rather than plugging a plug into your electric car to charge it, the eCoupled charger will let you park your Roadster (or your Prius if you’re not loaded) over a special induction charging hotspot on your garage floor. An adapter on the underside of the car takes the electricity and uses it to power up your ride. 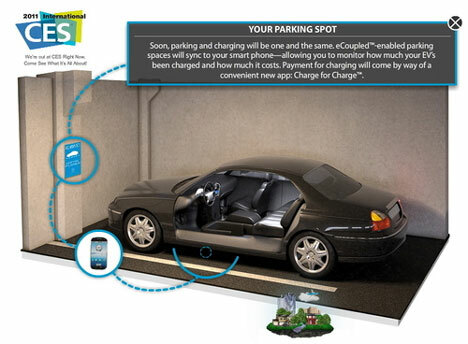 You’ll even be able to monitor the charging via a smartphone app. The car-powering induction charger isn’t quite ready for the market yet, but it’s not far off. After that, who knows? Maybe a whole-house induction pad that keeps all of your gadgets going at all times? It sounds far-fetched now, but it may be just years away. See more in Cars & Trucks or under Transportation. January, 2011.